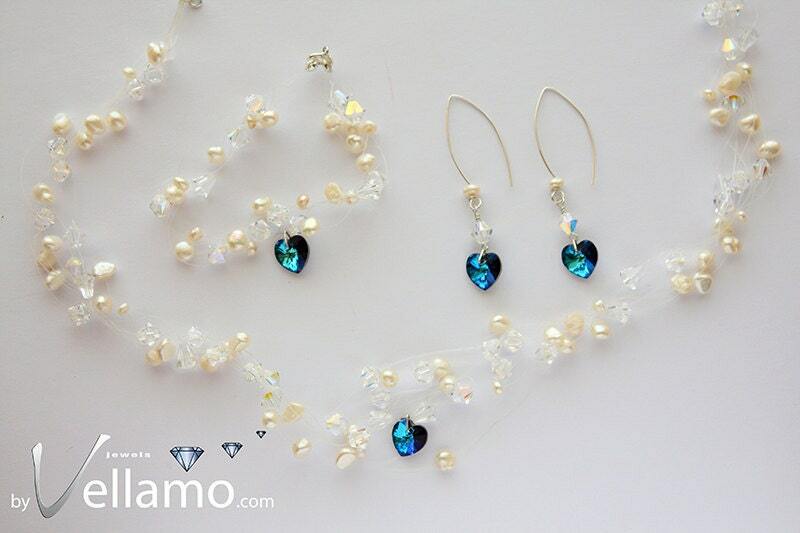 Beautiful set with white freshwater pearls and sparkly Bermuda blue and Aurora Borealis Swarovski cyrstals. The set contains an illusion necklace, an illusion bracelet and a pair of sterling silver earrings. Each of them has a beautiful blue heart crystals. All the findings and the earrings are Sterling Silver! Sizes: AB crystals and pearls: about 0.5-0.6cm.